Over the past few years, the Department of Labor (DOL) has attempted to enact updates to the overtime exemptions under the federal Fair Labor Standards Act (FLSA) including most notably, the controversial salary and job duties requirements applicable to the executive, administrative, and professional exemptions from the FLSA’s overtime requirements. However, these efforts have been delayed by court intervention and presumably by the change in presidential administrations in 2017. Common sense prevailed in a recent Ninth Circuit Court of Appeals decision interpreting California law on employer obligations to provide meal periods. In Rodriguez v. Taco Bell the district court dismissed potential class-wide claims by Taco Bell employees who claimed that Taco Bell’s discounted meal policy for employees violated the applicable California Wage Order. The policy provided that employees could receive food from the restaurant at a discount, but had to eat such food on the premises. This article—originally published in Automotive News—looks at the California New Motor Vehicle Board's ruling against GM's use of a benchmark called the retail sales index as grounds to terminate the franchise agreement of Folsom Chevrolet. Scali Rasmussen Partner Halbert “Bert” Rasmussen and Senior Associate Jade Jurdi led the legal team’s victory. Law firm Scali Rasmussen definitively established that General Motors not only should not have terminated Folsom Chevrolet’s franchise but that it violated California law in doing so. The New Motor Vehicle Board’s decision was effective August 13, 2018. On August 1, 2018, the Federal Trade Commission filed criminal charges against four dealerships operating in Arizona and New Mexico. The allegations include a wide array of illegal activity including submitting false credit applications, altering credit applications, and deceptively advertising vehicles. Along with the four dealers, two individuals, owners of the dealerships, were also named. This is the first time the FTC has brought an enforcement action for falsifying credit applications. The Los Angeles Business Journal has named Scali Rasmussen Founder and Managing Partner Christian Scali one of California’s top litigators. 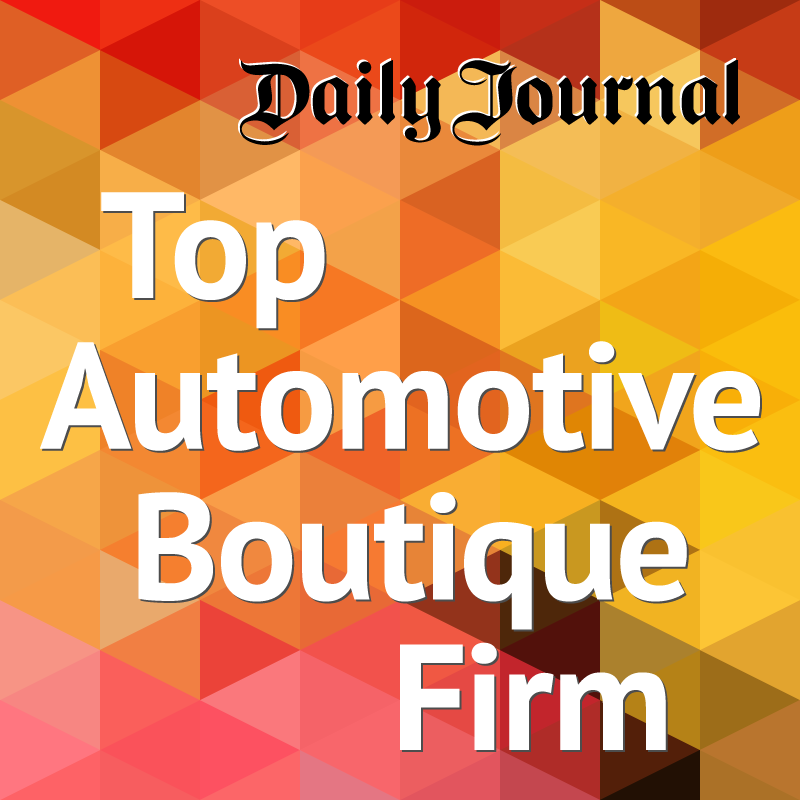 Scali’s diverse automotive industry practice includes advertising, consumer finance, data security, employment, franchise, corporate, LLC, and partnership control and ownership, flooring, reinsurance, debt financing, privacy and trade secret protection advice and counsel and litigation. Dealers are justifiably concerned with possible tariffs on imported vehicles and vehicle parts. Although efforts are underway to push back on the 20 or 25 percent import tariffs threatened by President Trump, the rulemaking process is proceeding rapidly, and there is no predicting what the President will ultimately do.